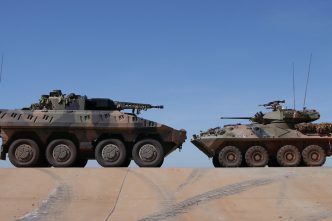 Followers of The Strategist may have seen the recent dialogue on the Defence Department’s Project LAND 400 between Marcus Hellyer and Jim Molan. Few subjects generate more emotion inside Defence than force structures, especially when it comes to capabilities perceived as ‘core’. That may be because we humans are all creatures of our own experience and want to ensure we can do better in the future at the sorts of challenges we have faced in the past. No one wants their link in the chain to be the weak one. Consciously or otherwise, we are less concerned about what effect overinvestment in our own area might have on other links in the chain, notwithstanding the fact that, if the chain breaks, all the intact links do no good whatsoever. That is the argument sometimes employed for a ‘balanced force’, but balanced to do what? Any attempt to be strong everywhere overstretches resources and ends up being weak everywhere. The art is in deciding where to focus and where to accept risk. Before Defence implemented the first principles review, key force structure review debates usually occurred mainly at the tactical level. The tactical fight would be set at some future point at which the planned force structure was known in a scenario loosely derived from strategic policy. Then the operational concept would be developed, and that’s where the linear thinking set in. Because the concept had to employ the planned force structure, that’s exactly what it would be optimised for. Any future capability ‘needs’ identified would, therefore, assume that concept of operations. The result would be a force designed to win that particular campaign plan at the tactical level, without much questioning of strategic alternatives. So what’s wrong with that? Well, apart from the fact that we have been winning battles and losing wars since Vietnam, it has resulted in an incoherent joint force structure. The RAAF’s ability to provide fast jet cover to the RAN at the distances at which the navy needs to operate is questionable. 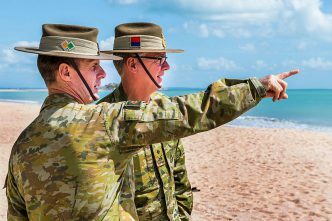 The navy’s ability to project and support land forces any significant distance from mainland Australia in a contested environment is questionable, even if suitable commercial shipping could be obtained, which is also questionable. As for forward basing of airpower beyond the Australian mainland in a contested environment, the challenges of fuel supply are probably insurmountable and base security is questionable. Mathematically speaking, questionable cubed times probably insurmountable isn’t good. The ADF’s planned future force structure solves none of these problems and actually exacerbates most. 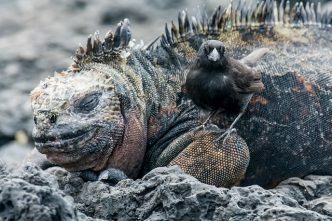 By concentrating on getting better at what they already do well, the army, navy and air force risk missing the point, like whales trying to solve their problems by getting bigger or cheetahs by getting faster. The next force structure review will be the first since implementation of the first principles review. The first principles review demanded strategy-led force design, but what does that mean? Academics differ on the definitions of levels of strategy, but what’s more important for force design is that the levels join up to each other and to operational concepts. In the past it has been all too easy for the single services to design a force around their own tactical considerations without rigorous examination of how relevant they are to strategy or allowing the red team (enemy) to respond imaginatively at the strategic level. Let me illustrate with just one of many historical examples. The Crimean War was not decided in Crimea. The British threat to St Petersburg, Rostov and Russian Alaska forced the Russians to cede. Our past force structure review processes would not permit that possibility either by us or against us. 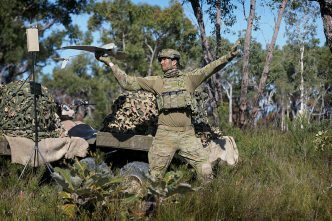 Jim Molan argues that LAND 400 is an important capability for winning a land fight, but no one has ever won an archipelagic conflict on a single landmass. 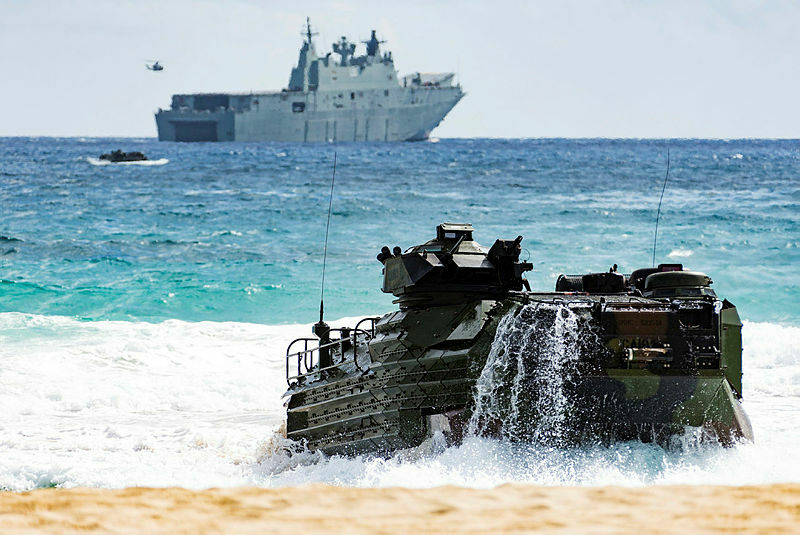 Archipelagic warfare depends upon manoeuvre of land forces by sea, and the future structure as currently envisaged, including LAND 400 and LAND 121, is ill-suited to that. Bob Moyse is a former Royal Australian Navy and Royal Marines officer and former desk officer in the Strategic Policy Division of the Department of Defence. Image courtesy of the Department of Defence. 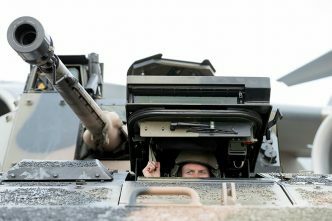 LAND 400: Is a knight in shining armour really what we need?